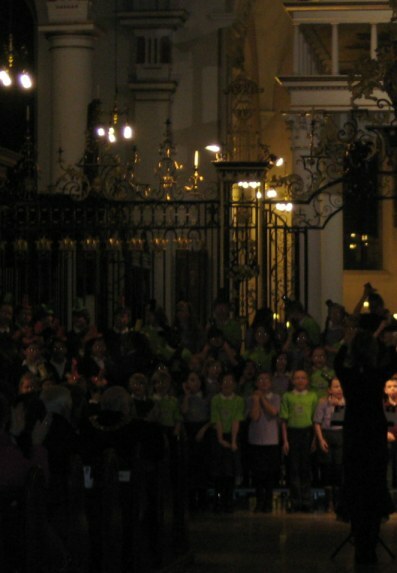 Yesterday the choir went to the cathedral in town, with Mrs Civval, where we sang four amazing Christmas songs; The Magic Of Winter, Caribe Noel, The Song Of The Winter Wind and Showbizz Snowman. It was very exciting but we were all very nervous too. We enjoyed listening to all the other children perform. Our favourite part was singing Showbizz Snowman with our sparkly top hats! In year 3 the air is buzzing with excitement as we are all rehearsing for our winter festival performance. Our’s is called the Nutcracker. We all have our own parts and fantastic costumes to make it a very magical afternoon on Friday 16th December 2011.